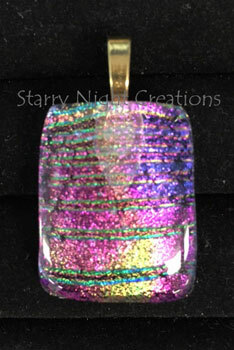 This pendant features a pretty rainbow of colors, specifically pretty bright pink & some yellow on a lavender base. When worn with darker clothes, many other colors "jump" out to include some turquoise sea green striping, pretty pink, and purple! 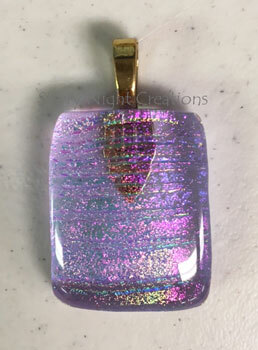 Definitely a pendant to wear with many items! Sterling Silver-plated bail included.